The importance of recognizing body dysmorphic disorder in cosmetic surgery patients: do our patients need a preoperative psychiatric evaluation? 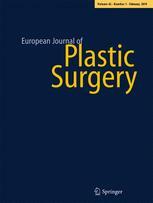 "The importance of recognizing body dysmorphic disorder in cosmetic surgery patients: do our patients need a preoperative psychiatric evaluation?" by V. Vindigni et al. "Long-term follow-up of 105 porous polyethylene implants used to correct facial deformity," by A. Carboni et al. "A forme fruste of a forme fruste": the most minimal expression of a cleft?